I heard him exclaim as he drove out of sight, Happy Etsy Christmas In July 2016 to all and to all a good night. The Etsy Christmas In July team leaders spent the past year working hard behind the scenes for the Christmas In July 2016 event! The blog contributors wrote great blog articles during #EtsyCIJ 2016! Thank you for joining us on Wednesday July 6th for the #CIJParty. We are ready with social media for a fantastic holiday 2016 season! When was the last time you took advantage of an opportunity? Merriam-Webster defines opportunity as: an amount of time or a situation in which something can be done. On July 1st, 2016 I offered an opportunity to all Etsy Christmas In July team members. The opportunity was to be featured here on our blog and on a special Christmas In July Pinterest board – Etsy Christmas In July 2016. I challenged the the team members to share themselves with us through an item from their shop. I am a firm believer that taking advantage of an opportunity leads to another opportunity, that leads to another opportunity and so on. Here are the Etsy Christmas In July team members who took advantage of this opportunity! Cozy up next to the chimney with us and enjoy a glass of your favorite Christmas spirits with friends, family, and in style! If you are looking for the best combination of quality in both the product you are purchasing and the personalization you are including, look no further. If you are planning a personal gift giving experience or just shopping for yourself, use the Etsy Christmas in July team coupon code offer in our shop for the best offer available all year! We love Christmas and thank you for planning ahead! At Design’s the Limit, we offer two distinct types of engraving on our glass and crystal products. Our crystal wine & distiller decanters are 100% lead-free crystal and we deep sand-carve them for the best personalization available. This is the most time consuming product to complete in our shop and is not available for Christmas delivery in December without additional fees. We believe that gift cards do not tell a story and that they make gift giving impersonal. Don’t tell your gift recipient that you were obligated to get them a gift. Show your gift recipient’s that they are worth taking the time to design a personalized gift giving experience for. Shop for a keepsake that will be treasured and which can be passed down for generations to come. Please drink responsibly and Merry Christmas in July from Design’s the Limit! I have been on Etsy as a seller since Feb. 2014. I opened my shop with my handmade gemstone and Sterling Silver jewelry but started to love and look for beautiful Vintage items too! Everyone knows me as a friendly, crazy, cat mom! My cats, Moses and Mirri model some of my items and have also modeled for a couple of other teamies’ shops, LOL! I love animals and nature and recently started donating to causes that help animals. Two others through Petco are a Cancer research fund and a drive to assist local animal shelters. I would like to donate to more local shelters and some people related causes too when I get more sales! Here is a Christmas item that reflects the beauty of nature, animals with the reindeer, Christmas theme and colors, and a Nordic design too! Hello, my name is Shelly and I opened my vintage shop in 2014. I love vintage and antiques. My absolute favorite piece in my shop is a set of Fostoria Electric Blue Plates. I found these when I picked a man’s storage units. He was downsizing, or trying to, and I got called to pick his units first. Stuff in there had been there for decades, untouched, and placed haphazardly in boxes or totes. The color drew me instantly to them and I added to my boxes of great finds. Later when I researched I found they were made by Fostoria in the late 1920’s. Who knows how long he had them. He told me he enjoyed spending his days at yard sales and would pack his finds away. These appear to have been rarely, if ever, used and still have 8 plates. Reading the novel “The Snow Child” by Eowyn Ivey inspired me to this painting with the same title. It’s about a childless couple who is homesteading in the Alaskan wilderness. One day they build a child out of snow. The next morning the snow child is gone – but a real young girl enters their life. This girl often has a little red fox by her side. It is a beautiful though heart breaking story that occupied my imagination and I felt the urge to paint it. I chose a wood panel for this painting and used a molding paste for the foundation. I wanted a lot of texture in creating kind of a “rough” painting. This is not a smooth surface – you can not only see this painting, but feel it as well. It represents the harsh Alaskan environment and the dark color in the background is a symbol for the long, dark Northern winter. This was the first time that a novel or written story inspired me to visualize it in my own way. This past year had been a bit of a challenge for me, as it has for many of us. I see, for example, the last time I wrote on my blog (clisette.wordpress.com) was 2015 just after my brother passed away from complications of Type 1 Diabetes. Since then, I’ve focused on taking care of myself, because, really, who else is going to do that for me, better than I will? I had a knee replacement and have been doing water aerobics and swimming laps several times a week. What a joy it is to be back in the water (must be the Aquarian in me?)! Along with improved health, I’ve lit a fire under my creative side and have been happily creating new mixed media projects, many of which you can see in my Etsy online shop and one I am sharing here with you now. I created this textured canvas using extra coarse pumice gel to cover the wood panel surface. I recycled packaging material cutting it into seed shapes. Once the surface dried, I outlined the kiwi and then adhered the seed shapes using modeling paste. Shades of lime green acrylic paint made the inside of the one kiwi which has been cut in half. Then brown acrylic paint over the coarse pumice created the fuzzy skin of the kiwi fruit and mixing some of the brown with black I painted the outline and the seeds. The background is a series of colorful complimentary rectangles painted in shades of light yellow, navy blue, lavender, pink, an orangey red, a rusty red, grey and white. Once the piece was finished I felt the background was too bright and distracted from the focus of the mixed media art, which is the kiwi fruit. I tested several shades of paint to tone down the brighter colors in the background until I settled on an Interference Blue, which created a lighter iridescence over the background. I added a frame and now it is the first of three fruit mixed media pieces available in Carla’s Craft The other two are titled: 3 Little Figs and Ruby Red Grapefruit. Hi! I’m Sharon from Ms P Designs USA. My sister, Susan, and I have had our Etsy shop since August, 2015, and we design whimsical quilt patterns. Our most recent endeavor is a line of animal applique patterns in which the animals are all dressed up for Christmas. We chose animals that aren’t normally associated with the holidays, and then had some fun making them “Christmas-y”. My favorite design in the collection is the happy holiday horse. She’s dressed in her special saddle blanket, and waits beneath the mistletoe for her first Christmas kiss. The Christmas tree is bedecked with sparkly rhinestones. I created a banner to feature the horse applique and also used several of my favorite piecing techniques to make pinwheels that remind me of Christmas goodies and a row of pieced trees. Since the horse looks so joyful, I added the word “JOY” to the banner. I love it, and hope that this Christmas banner pattern will bring “JOY” to others as well. Hi my name is Jackie my shop started out as wood door hanger shop. I have added jewelry, Jewelry display shelves, chalkboard, sewn items and more. I love to design my door decor I specializes in custom designs. All I need to know is what you have in mind or what team mascot you would like done. My passion is painting pastel portraits I love working in pastels. Christmas has always been my favorite time of year. Here is one of my favorite Snowman door hangers. My mom and I both contribute to my Etsy shop – Nautico Creations. I do all of the floral arrangements and other gifts including holiday ornaments and other items during the holidays, and my mom focuses on quilts and quilted gifts. I chose to feature this fish wall hanging because it is the most complex piece that was created for the shop. It includes 30 different fabrics all pieced together to make this beautiful work of art. Since we live in Minnesota, land of 10,000 lakes, fishing is also a very popular past time – in winter and in summer. For a lot of us, summer is a much better time to highlight it though, when we can spend some quality time by the lake. This is the very first drawing that I completed in 2016. It is the very first drawing that I completed after I opened my Etsy shop. The design is a five pointed star. This signifies the body – two arms, two legs and the head. It also signified the hands in particular – because we have five fingers. Because it references the body it stands for the boundless possibilities of strength that we hold within us. Because it references the hands, it stands for our creativity and ability to make things that have never existed before. I penciled in the basic design at the end of 2015. When I returned to complete it, about one week after David Bowie died, it just felt right that it should be dedicated to him. His final album is called Black Star and featured a similar five pointed star on the cover. I held the legacy of Bowie and his creative exploration, adventure and risk taking in my mind while I chose and laid down the pigment colours for my own Black Star. I chose to feature our Paris Love Locks photograph. These Cadenas Amoureux, or love padlocks have sprung up all over the world, but this photograph was taken from a bridge across the Seine River in Paris. Lovers have been binding their love with a padlock on a bridge and then throwing the key to their hearts into Seine below. Unfortunately, the bridges could not hold the weight of all that love and the padlocks had to be removed. But love lingers on in this golden photograph! My daughter and I opened our Etsy Shop last September with some of my mother’s Renwal dollhouse furniture and a few other items. We were thrilled when we made our first sale a couple weeks later! It’s nice that we both share the appreciation of vintage items and we enjoy looking for treasures to fill Willow Valley Vintage. This little dollhouse bed belonged to my mother and we thought it would look sweet on a dressing table repurposed as a jewelry box! This is a Japanese wooden doll, called Kokeshi (I focused on kokeshi dolls with my vintage shop). These dolls have been handcrafted in Japan for the last 150 years, first as toys for girls, then as local hotspring village souvenirs, then as home decorations or collectibles. This specific darling is a Sakunami doll, by Suzuki Shoji. Traditional kokeshi dolls are divised in 11 types, and Sakunami is one of them. This type enhances the elegance and shy beauty of northern Japanese girls. Each kokeshi maker learns his trade along his master, often his father; painfully and slowly learning the lathe secrets, the brushes skills. The apprentice inherits the distinctive patterns or characteristics set by his master, and his own master before that, which means that each doll has a story build through generations. When moving to Japan, I have fallen in love with these dolls. I like their cuteness, their uniqueness, and the idea of a craft built, taught, and learnt though generations. The wood ages very gracefully, the dyes fade with the years, and make the dolls all the more beautiful! I go through local markets, antique fair, flea events to find them, select and identify them, and make them available to everyone. Hi there, I’m Em the daughter-half from Twig and Posy. My mother Deb is the other half. Welcome to our shop where vintage design meets Aussie Bush! Our timeless and unique floral clothes and accessories for girls aged 0-6 years are made to celebrate the wonder of childhood. Sprinkle in a bit of mud and mix in equal parts outdoor adventure, play and party, there is so much to explore and it might as well be done wearing a flower crown! We love clothing that is girly but does not restrict play, so the designs are simple and practical and can be mixed and matched. We focus on the small details that girls love, whether it be a lace cuff, a heart button, an embroidery panel, or hidden butterfly. This size 5 (or 5T) dress is one of my favourites as it is an all seasons linen dress which can worn as is in summer or layered with a long top and tights in the winter (for those girls that never take off their dresses no matter how cold!). The dress has been made from a beautiful piece of floral vintage fabric and Deb has made some striking embroidered pockets to match, particularly good for leaf and stone collecting, or storing bits of birthday cake! I started making these first as a party favor for my grand-daughter’s 2nd birthday party, it was a woodland theme, so I thought these would make a nice addition. They were such a big hit that I decided to make a few to sell in my shop, not long after introducing them, they were a chosen feature on Emmaline Bride blog. They are still a big hit for brides maids, flower girls or just for home decor, they look fantastic in galvanized vessels! Take advantage of an opportunity today! Good night everyone! 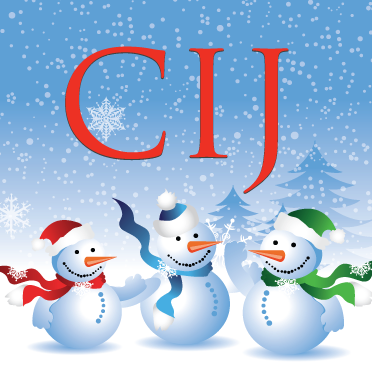 Thank you for joining us today for #CIJPopUpMarket #3 2016 here on the Christmas In July blog! It was a really fun day! Each shop at our #CIJPopUpMarket #3 2016 was individually introduced so please look in their tent, get to know them and shop! Thank you so much for joining us at our #CIJPopUpMarket #3! My store is called CraftLoveNature and everything is made out of ecofriendly and sustainable timber, and crafted into home decor, kids toys, gifts and more. Too many places!! I have serious wanderlust! I would love to travel around Spain, and dance into their culture. Explore more of the Greek Islands, for their picturesque views and friendly people. Also Holland because we have friends there. Acro Yoga (I think that’s what it’s called, you know the two person balancing act), because it looks like a lot of fun! Ruffles and Bow Ties; all my handmade clothes are limited edition/one of a kind. All designed and created by me. The majority of my embroidered designs are designed by me. My mom, she took care of her dying mother for years, then turned around and took care of all 3 of her kids. Never complained and taught us so much about life and patience. Draw and paint. I have no drawing skills whatsoever! My shop is LollysCubbyHole & my name is somewhat unique as it is the name my grandchildren call me, “Lolly”. I do a lot of custom requests, for weddings and home decor, farmhouse style. July brings the grandchildren to town, so we spend a lot of time on the pond fishing and in the pool. Plus , we take tractor rides around the farm! Most likely we would return to Paris, France & Italy. Living ~ would be my husband. He is kind and patient, and works very hard to improve the lives of those in Haiti. Deceased would be my grandparents, who lovingly raised me. I always wanted to play the piano in a grand way.. no pun intended! It is such a lovely sound, to have music filling the home. My husband plays and we have two pianos!! ( I have 3 sewing machines, so I can’t complain).